In most respects 10-year-old Max Williams appears to be a pretty typical fourth-grader. He likes playing the video game Sins of the Solar Empire, romping in the yard with his pet Yorkie Coco and watching the dinosaur flick Jurassic Park over and over. He enjoys reading and archery and roots for the Denver Broncos and laughs at the antics of the TV family The Goldbergs. But sit this 4-foot-3-inch, 55-pound youth in a chair in front of game board holding 16 black and 16 white small playing pieces that bear the names pawn, castle, bishop, queen and king, and Max transforms into a silent, intense warrior, a merciless soldier who takes no prisoners. The chess enthusiast, who lives in Lebanon with his parents Les and Traci Williams, finished 30th in the United States Chess Federation National Elementary (K-6) Championship two years ago. He has competed in about 50 contests since he was 6, earning two first-place finishes and collecting more than two dozen trophies. Lebanon fourth-grader Max Williams, 10, who began playing chess when he was 2, intently studies the game board in front of him. This is his signature pose, which he refers to as his “stare down,” before he engages an opponent. Max with his parents, Les and Traci. Les taught Max the ancient game at the age of 2, and he began to checkmate his father frequently at 8 years of age. 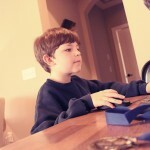 Max plays chess online with an opponent who could be anywhere in the world. At the chess.com web site he has taken on players from countries such as Russia, Germany and New Zealand. 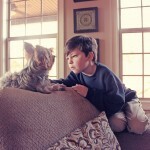 Max Williams gives his pet Yorkie Cocoa a serious talk about swallowing inappropriate objects. He shares a bedroom with Cocoa. After a learning session chess instructor Tiffany Elliott joins in a match with her Donelson Christian Academy students, from left, second-grader Cam’ron Stuart, first-grader Sofia Griffins and fourth-grader Max Williams. Early childhood chess instructor Tiffany Elliott challenges members of the Donelson Christian Academy chess club to sharpen their skills as she teaches strategies and helps the students practice every Wednesday afternoon at their school. These days he plays at a higher level that includes fourth, fifth and sixth graders and at a recent tournament won three of five matches, most of them versus sixth-graders. “I thought it was cool to destroy them in a chess game. They think I’m an easy win sometimes because I’m smaller and not as old as them,” Max says of sixth-graders. Max began playing chess at 2 with his father as his mentor. “It’s a game of two armies fighting it out, so what little boy wouldn’t want to play,” said Les. “I played frequently against the computer and realized it was a game Max and I could play together that he would never outgrow. I began to teach him the names of the pieces. With the aid of the board game No-Stress Chess, he learned how they moved and then incorporated strategy for game play. “He had a very early comprehension for pattern recognition, which is a key part of chess,” said Les, who let his son enter his first tournament at 6. “I kind of pushed it a little but never thought of tournaments. 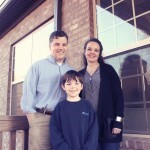 In kindergarten, we didn’t know there were clubs and scholarships,” said Traci. For three years, Les and Traci hired coaches Todd Andrews and Ron Seaney to teach their son new tactics and ways to look at the game. Chess master Andrews heads the Nashville Chess Club and has won several Tennessee state championships. One of those avenues is the web site Chess.com, a large, community-based online gaming platform for chess, with users from all over the world at every skill level—from someone just starting to learn pieces to grand master level. “The web site will match you with someone of equal or greater skill level,” said Les. “There are ratings: from under 100 to 2,800. Max rates at 1,450, so he is currently matched against others between 1,400 and 1,500. They’re usually adults. Since the first grade, Max has been a member of the Donelson Christian Academy chess club, which meets every Wednesday after school. Members range from first-graders to high-schoolers but the majority are upper-elementary age. “Max started playing very young. If you are exposed before the age of 5, they’re capable of advanced problem-solving at a much earlier age, and research shows advancement in regular curriculum areas such as math and reading as well,” said Tiffany Andrews Elliott, the early childhood chess instructor, who mentors the club and also teaches chess at Napier Enhanced Option School, Julia Green Elementary, Granbery Elementary, Ensworth and University School of Nashville. Elliott sees chess as an ideal tool for helping children learn crucial life skills like self-control, resiliency, goal setting, calculation, critical thinking, focusing and teamwork. “Chess opens the parts of the brain that most people don’t use every day. I get to see a much deeper side of kids, much more intellectual,” said the instructor. “I really love my job. I teach at six schools, five to six days a week. Kids are very happy to be in a club where, no matter who they are, they are accepted. It’s such a rich culture. It’s challenging as well so I don’t get beat by kids like Max,” she noted with a smile. Elliott said that her organization teaches chess in about 25 Nashville area schools and estimates there are probably dozens more run by private coaches and other individuals. 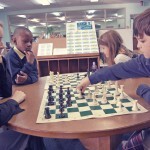 “Valor Collegiate [Academy] in Nashville is in its first year, and every student is in the chess club. We’re coming up in the world, I think. 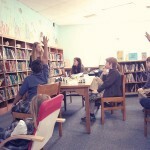 I personally think all schools should offer chess club to their students,” she said. One of Max’s school chums who joined the chess club this year is fourth-grader Alexandria Trubee, 10, who lives in Nashville. She describes Max’s game as “brilliant” and that it takes him about a minute to checkmate her. His parents say that when Max is in training things can be “pretty intense” and it requires about 45 minutes of his time at home every night. Thus, this school year has been kind of a breather for him and he has not entered many tournaments. “He was exhibiting signs of burnout, so we decided to pull back a bit. The last thing we want is for him to lose his love for the game,” said Traci. “In addition, he is getting to an age where his social life is beginning to take shape and chess is a big commitment that sometimes has to take precedent over social events. 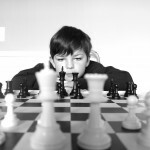 While mom and dad hope that Max will continue to strive to better his game and rating and maybe one day achieve the level of chess master, they see bigger benefits. “There is always someone who can beat you, so you learn to be a gracious loser,” said Les. On a recent evening Max and his Les engage in a game of chess, and Max disposes of his father in a matter of a few minutes. Afterward they shake hands across the board. Where to find chess mates?